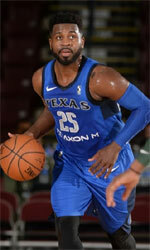 Defending champion Homentmen Beirut (LBL) agreed terms with 32-year old Nigerian ex-international power forward Olaseni Lawal (208-102kg-86, college: Wayne St., MI). He played last season at Sidigas Avellino in Italian Serie A. In 9 games he had 3.9ppg, 7.3rpg and 1.8apg. Lawal also played 7 games in FIBA Europe Cup where he recorded just 2.9ppg, 5.3rpg, 1.7apg and 1.0bpg. He helped them to make it to the cup final. He has tried to make it to the NBA and played in the NBA Pro Summer League in 2013. The list of the past achievements is quite long as among others Lawal's team won Spanish Liga Endesa Supercup in 2016. He was also voted Eurobasket.com Italian SerieA All-Defensive Team back in 2015. Lawal represented Nigeria at the Olympic Games in Rio de Janeiro (Brazil) three years ago. He is quite experienced player. Lawal has played in four different countries on three different continents (Europe, Asia and of course North America). He has played previously professionally also in Kazakhstan (Astana), Qatar (Al Arabi), Spain (FC Barcelona and CB Guadalajara) and Italy (Tezenis Verona and Banco di Srd). 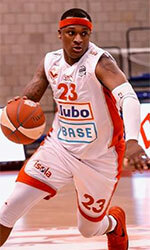 Lawal is a former Eurobasket Summer League player, which is considered top international summer league on the market. He attended Wayne State University, MI until 2009 and it will be his tenth season as a professional player. Lawal could be described: He is 6'9' and is very athletic and has very long arms. He is an excellent shot blocker and defensive player who rebounds extremely well and plays above the rim. He runs the floor like a deer and plays extremely hard on both ends of the court. Offensively he has nice skills around the basket and will dunk on someone in a flash.